Jeremy Renner is an American actor, singer and film prodsucer, who gained prominence with his role as Hawkeye in the Marvel Cinematic Universe films. He earned Academy Award nominations for his performance in movies such as The Hurt Locker and The Town. He further gained fame with his part in movies including Mission: Impossible – Ghost Protocol, The Bourne Legacy, American Hustle, Mission: Impossible – Rogue Nation and Arrival. Jeremy Renner was born on January 7, 1971 in Modesto, California, USA. He is currently 48 years old. He is of German, English, Scottish, Swedish, Irish and Panamanian descents. Modesto Junior College and later took acting as an elective to puruse an acting career. Renner is the son of Valerie Cearley (née Tague) and Lee Renner, who managed McHenry Bowl, a Modesto bowling alley, in the 1980s. His parents married when they were teenagers and divorced when he was 7 years old. He has six siblings – Clayton Renner (Younger Half-Brother), Theo Renner (Younger Half-Brother), Arthur Renner (Younger Half-Brother), Kym Renner (Younger Sister), and Nicky Emens (Younger Half-Sister). Jeremy Renner and Canadian model Sonni Pacheco started dating in October 2011. They married on January 13, 2014. The couple welcomed their first child, a daughter, Ava Berlin, on March 28, 2013. Pacheco filed for divorce December 30, 2014, citing irreconcilable differences. They both share custody of their daughter. Jeremy Renner made his onscreen debut as Mark ‘Dags’ D’Agastino in the comedy film National Lampoon’s Senior Trip in 1995. Jeremy had his first TV appearance as Tod in the UPN’s action science fiction series Deadly Games in 1995. 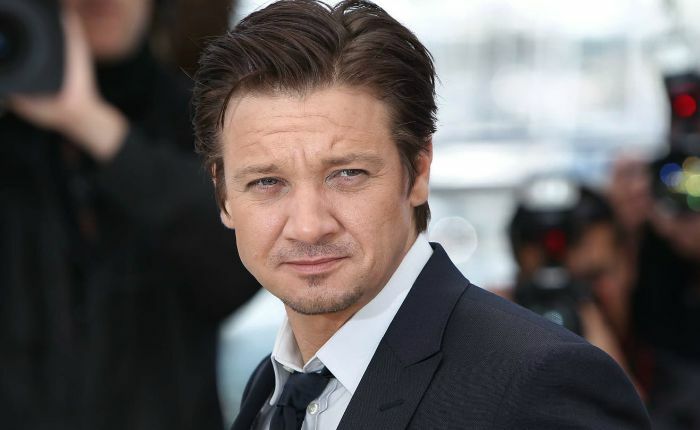 Jeremy Renner earned a lot of attention for his roles as bomb disposal professional, Sergeant William James in the war movie “The Hurt Locker” for which he earned first Academy Award nomination for Best Actor and Screen Actors Guild Award nomination. In 2010, Renner played James “Jem” Coughlin in Ben Affleck’s crime thriller film ‘The Town” alongside Jon Hamm, Blake Lively, Slaine and Michael Yebba. He received critical appreciation for his role in the film which earned him his second Academy Award nomination for Best Supporting Actor. He also gained Golden Globe nomination for Best Supporting Actor. Renner has made the leap to international fame with his starring role as Hawkeye in the Marvel films, Thor (2011), The Avengers (2012), Avengers: Age of Ultron (2015), Captain America: Civil War (2016) and Avengers: Endgame (2019). His other notable acting credits include Aaron Cross / Kenneth J. Kitsom in The Bourne Legacy (2012), Carmine Polito in American Hustle (2013), Orlando the Magicianin The Immigrant (2013), Gary Webb in Kill the Messenger (2014), and Ian Donnelly in Arrival (2016). Renner had starred in a number of TVCs for Bud Light, Coors Light Beer, Duracell Ultra Batteries, Aquafina, Kia, and Kodak, among others. Jeremy Renner has a net worth of $50 million. He worked as a makeup artist and performed in local theater before landing the role of an underachieving student in the 1995 comedy National Lampoon’s Senior Trip. In 2003, he refused to act in The Big Bounce to play Brian Gamble in S.W.A.T. Apart from acting, Renner is also a singer-songwriter, guitarist, keyboardist, and drummer. He performed in the Sons of Ben. He is good friends with Charlize Theron, Colin Farrell. and Tom Cruise. He and his best friend and fellow actor Kristoffer Ryan Winters run a house-renovating business. As a singer, he has performed songs for the soundtracks of “North Country” and “The Assassination of Jesse James by the Coward Robert Ford”. In 2012, he was conferred with CinemaCon’s “Male Star of the Year” Award, being described as “one of our most talented and gifted actors today”. Renner was supposed to cast in Battleship (2012), but Taylor Kitsch was cast instead after Renner quit. He was also considered for the role of Max Rockatansky in Mad Max: Fury Road (2015) which later went to Tom Hardy. He portrayed the character Hawkeye in Marvel’s Avengers movies alongside Chris Hemsworth, Robert Downey, Jr., Chris Evans and Scarlett Johansson. Renner is a supporter of the San Francisco 49ers.